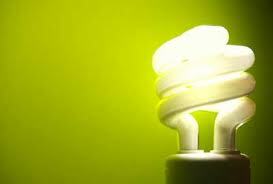 Energy efficiency, in particular electricity usage, is a new challenge for industry with impending price rises likely. How do you know if your energy efficiency program (if you have one) is working for you and how to avoid the five common misconceptions about energy efficiency. Most energy consultants focus on technology solutions such as LED lighting, more efficient air compressors, thermal insulation, and many others. Each of these can certainly be justified, but each requires capital investment, and most do not impact on the major consumer – your production processes. QMI Solutions has been assisting companies reduce the cost of their electricity and introduce energy efficiency programs, achieving excellent results with minimal capital investment. This is because the approach of QMI Solutions is different. As process experts, we focus on the major consumers of electricity – your production processes. Understanding where your energy is going, and how much of it is productive can identify previously unrealised opportunities. Often the solutions are simple, requiring no capital investment and only a change in practice. A typical QMI Solutions project results in improved energy efficiency including cost savings of 10% through reduced energy consumption, and 10% through reduced peak usage charges. Many businesses have already taken action. Some have changed their lighting, upgraded their air compressors, and changed to other energy sources. However, there is still much low-hanging fruit, but there are common misconceptions which prevent businesses from further reducing the cost of their electricity. From our practical experience, there are some common misconceptions of which industry should be wary.